Often people don’t take much care with flossing, some even skip it completely, because they think brushing is sufficient. If that’s you and you want to do a better job flossing, here are few tips that can help you to improve your technique. Brushing does a great job of cleaning the exposed surfaces of your teeth, but flossing really is the only way to remove the plaque and bacteria that builds up between them, where your toothbrush can’t reach. Flossing will help improve your oral hygiene, and keep your breath fresh, too. So if you’re not flossing regularly, it’s time to get started! You might think that you need to floss vigorously between every tooth, sawing up and down over and over with force. But this kind of aggressive flossing can actually damage to your gums. A gentle yet firm motion, moving up and down the sides of each tooth just a couple of times, will be more than enough to prevent plaque buildup. Flossing removes plaque and other bacteria from between your teeth. If some of those particles land on the exposed surfaces of your teeth, they could continue to damage your enamel. By brushing after flossing you brush away those particles, providing you with a more thorough cleaning. Alternatively, you can brush, then floss, and finally rinse with water or mouthwash. There is a wide range of floss styles to choose from: fine, ribbon, waxed, unwaxed, thick or comfort floss. There's also picks, water flossers, or pre-threaded flossers. Choose whatever product you find easiest and most comfortable to use and that works best for your smile. The easier the experience, the more likely you are to floss regularly. Your dentist can help you to choose an option that works best for your unique smile and lifestyle. 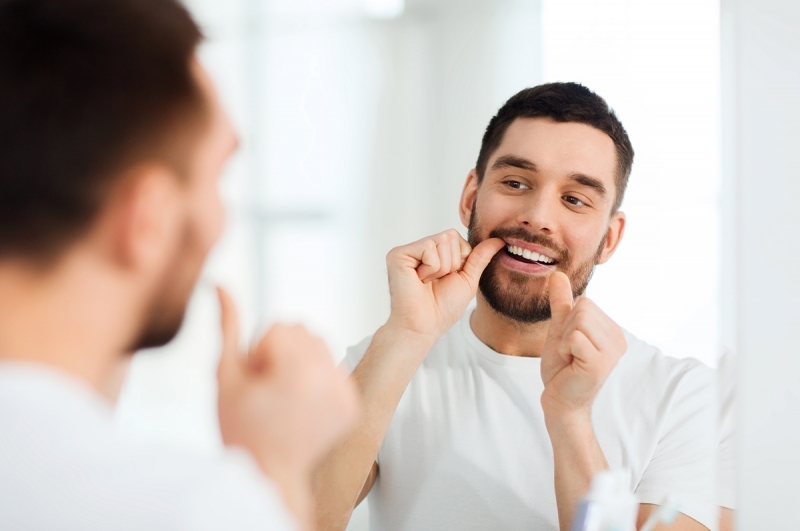 If you need more advice on improving your flossing technique, ask your dentist at Cloverdale Crossing in Surrey during your next cleaning appointment.